Samuel Pittman is a rising second-year student at Georgia State University. He is currently pursuing a Bachelors in Philosophy with a concentration in Pre-Law, with the intent of going to law school post-undergraduate. In addition, he is also a student at Georgia State University’s Honors College. Born in Guatemala City, Guatemala has was adopted and brought to the United States as an infant and became a citizen through the naturalization process. While the process of being adopted was filled with depth to him at first, he realizes that the story of being brought to America is one that aligns with the diversity and spirit of the GALEO mission. As a first-year student at Georgia State University, he was named as a Goizueta Scholar and is part of the Class of 2021 Goizueta Cohort. As a Goizueta Scholar, he found many ways to become involved on campus. During his first year, he was part of the White House acknowledged program, the Latino Leadership Initiative. During his time with the Latino Leadership Initiative, he worked through Gwinnett County Schools as a mentor guild with students. As a mentor, he worked with students one on one and assisted them with how to apply for scholarships, how to go through the college application process, and how to build a strong resume. As a Goizueta Scholar, he finds that there is no greater gift than the gift of helping empower others. In addition, he also worked outside campus as well. As a graduation coach for the Hispanic Organization Promoting Education (HoPe), he worked with students across the state of Georgia by assisting them with applying to college and providing them with financial aid resources along with scholarship resources. 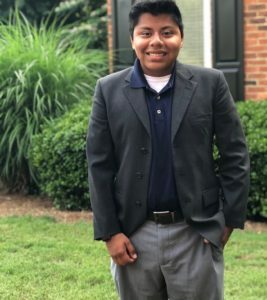 As someone who wants to encourage Hispanic youth to speak out for what the believe in, Samuel worked on his first political campaign in 2017 as the Latino Outreach Assistant for the Jon Ossoff for Congress Campaign. 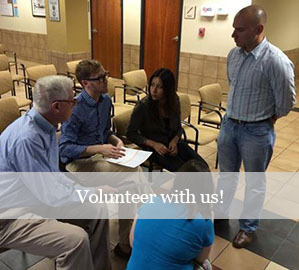 Through the Ossoff campaign, he was able to reach out to Latino voters and assist potential voters in registering to vote along with engaging the Latino community. As an aspiring lawyer, Samuel Luis Pittman wants to be the voice for those who do not have one, and work for and defend youth who make the dangerous journey to America each year. He believes that we need to build bridges, not walls and hopes that through GALEO he is able to ensure that individuals are able to recognize their potential to be involved in their government and communities no matter where they come from.